A basket of brown and cream colored eggs sat on the counter of their newly renovated kitchen. “We’ve got over 20 chickens!”, Lisa exclaimed. She went on to tell me that everyday one of their dogs will retrieve the eggs out of the coop and gently hand them over to her! 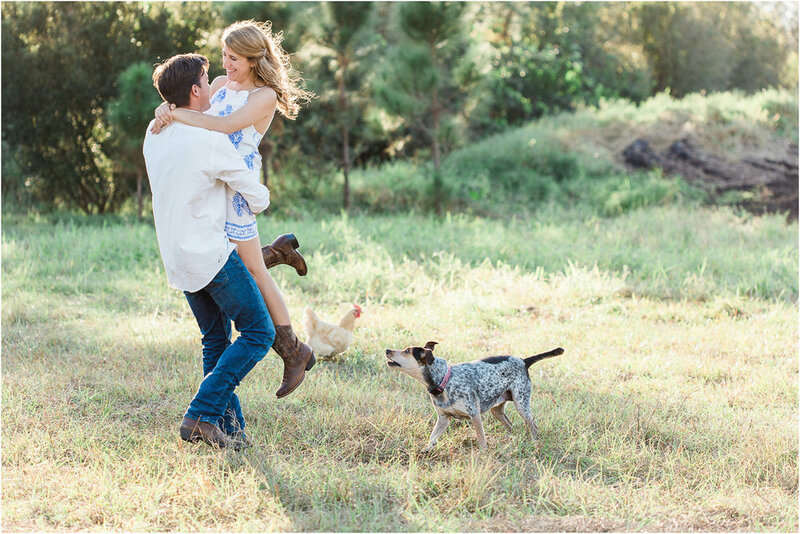 Their home in Palm City was not only home to Lisa and David, but also to their beloved farm animals and dogs. I stood in their home, which reminded me of something inspired by Joanna Gaines, and immediately admired all the farm house details. What a joy for them to have a property where they can eat fresh eggs and enjoy a bit of farm life! This was such a fun session for me! I am so excited to share these images and even more excited to document Lisa and David's wedding this summer! They were kids when they met. Literally. And if you were to have told them that they would end up getting engaged, they probably would have asked what you meant because they were only in preschool when they met! Brittany and Chris grew a friendship around Goldfish snacks, nap time, story time and lunch time. Their young friendship sustained and grew all the way up until high school, when they finally started dating! Maybe it was the way Chris danced at prom, or the way that Brittany laughed at his jokes that made these two realize that they were meant stick by each other and eventually get engaged...A friendship this long was meant to last forever! This past week, I had the pleasure of documenting their engagement photos, such a sweet time! 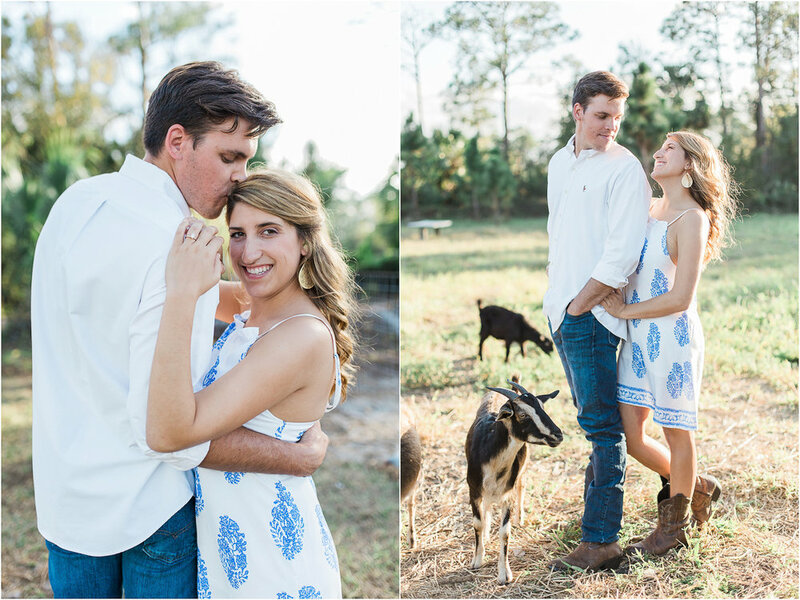 Brittany choose a rustic location for her engagement photos where the oak trees were donned with large hanging moss, a true old Florida feel! The sunlight couldn’t have been any better, I was so happy with the amount of glowy portraits that we got! Brittany wore a colorful blue Lilly Pulitzer dress for the first half of our session and then changed into a charming white eyelet dress which she dressed up with a necklace for a pop of blue, girl you look beautiful!! Brittany and Chris are truly a great couple. And I am so honored to have the privilege of documenting their wedding day in February 2017! Here are some of my favorites from our session!